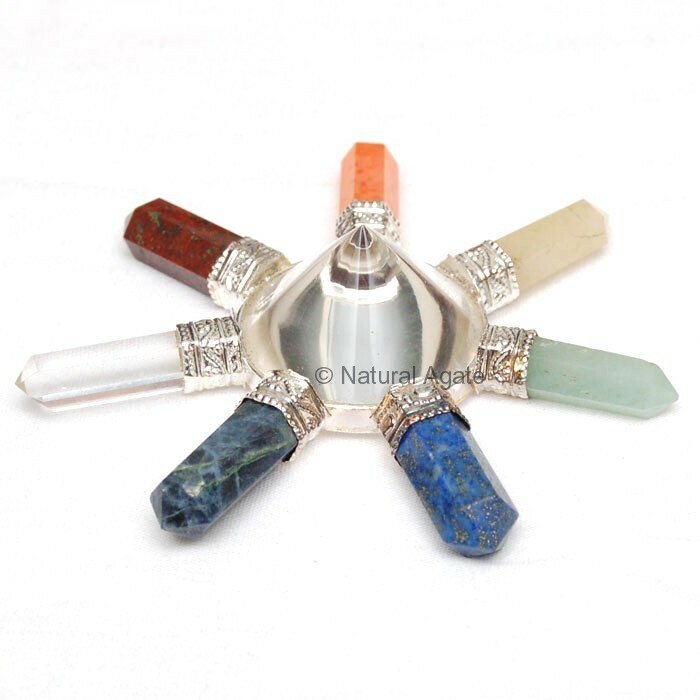 Seven chakra Generator has seven pencils made form chakra stones attached to center part. These stones represent chakras in the body. The generator releases immense energy which helps to balance body chakras and keep them active. You can buy this energy grip from Natural Agate.